What would it take to grow mushrooms in space? How can mushroom cultivation help us manage, or at least make use of, invasive species such as kudzu and water hyacinth and thereby reduce dependence on herbicides? Is it possible to develop a low-cost and easy-to-implement mushroom-growing kit that would provide high-quality edible protein and bioremediation in the wake of a natural disaster? How can we advance our understanding of morel cultivation so that growers stand a better chance of success? For more than twenty years, mycology expert Tradd Cotter has been pondering these questions and conducting trials in search of the answers. In Organic Mushroom Farming and Mycoremediation, Cotter not only offers readers an in-depth exploration of best organic mushroom cultivation practices; he shares the results of his groundbreaking research and offers myriad ways to apply your cultivation skills and further incorporate mushrooms into your life—whether your goal is to help your community clean up industrial pollution or simply to settle down at the end of the day with a cold Reishi-infused homebrew ale. The book first guides readers through an in-depth exploration of indoor and outdoor cultivation. Covered skills range from integrating wood-chip beds spawned with king stropharia into your garden and building a “trenched raft” of hardwood logs plugged with shiitake spawn to producing oysters indoors on spent coffee grounds in a 4×4 space or on pasteurized sawdust in vertical plastic columns. 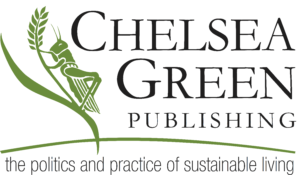 For those who aspire to the self-sufficiency gained by generating and expanding spawn rather than purchasing it, Cotter offers in-depth coverage of lab techniques, including low-cost alternatives that make use of existing infrastructure and materials. Cotter also reports his groundbreaking research cultivating morels both indoors and out, “training” mycelium to respond to specific contaminants, and perpetuating spawn on cardboard without the use of electricity. Readers will discover information on making tinctures, powders, and mushroom-infused honey; making an antibacterial mushroom cutting board; and growing mushrooms on your old denim jeans. Geared toward readers who want to grow mushrooms without the use of pesticides, Cotter takes “organic” one step further by introducing an entirely new way of thinking—one that looks at the potential to grow mushrooms on just about anything, just about anywhere, and by anyone. “Tradd Cotter has done a wonderful job sharing his practical experience in a well-organized way with illustrations that clearly underline the topics. Organic Mushroom Farming and Mycoremediation is an invaluable resource for teaching students about mushroom cultivation.”--Peter Oei, author of Mushroom Cultivation, director of horticulture innovation at InnovatieNetwerk, Dutch Ministry of Economic Affairs, and founder of MeattheMushroom.nl and spore.nl. Tradd Cotter is a microbiologist, professional mycologist, and organic gardener, who has been tissue culturing, collecting native fungi in the Southeast, and cultivating both commercially and experimentally for more than twenty-two years. In 1996 he founded Mushroom Mountain, which he owns and operates with his wife, Olga, to explore applications for mushrooms in various industries and currently maintains over 200 species of fungi for food production, mycoremediation of environmental pollutants, and natural alternatives to chemical pesticides. 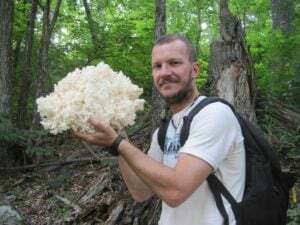 His primary interest is in low-tech and no-tech cultivation strategies so that anyone can grow mushrooms on just about anything, anywhere in the world. Mushroom Mountain is currently expanding to 42,000 square feet of laboratory and research space near Greenville, South Carolina, to accommodate commercial production, as well as mycoremediation projects. Tradd, Olga, and their daughter, Heidi, live in Liberty, South Carolina.